Vehicle just arrived so a full set of photo's to follow after preparation is completed. Supplied with 2 full remote keys. 12 months MOT with NO ADVISORIES. Full Nissan main agent service history and we will carry out a service as part of our preparation process to bring the service record fully up to date. 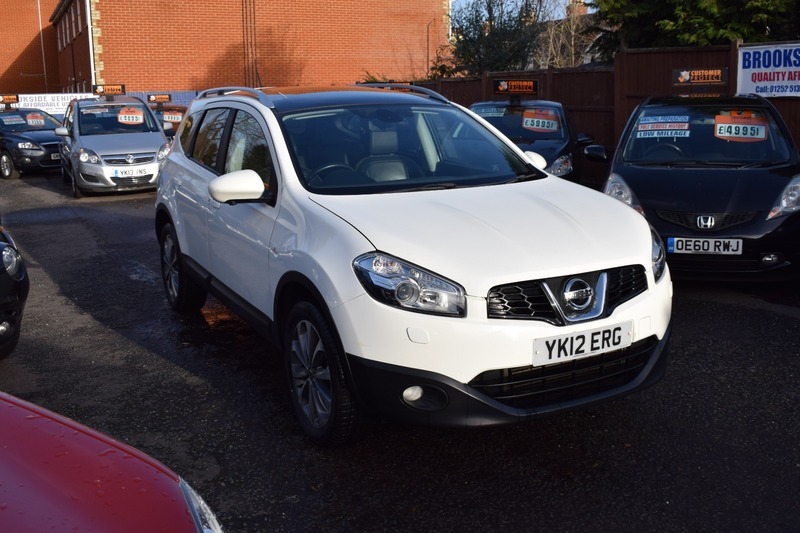 Superb value, top of the range Qashqai seven seater with panoramic roof, satellite navigation, reverse parking camera, 360 degree all round view camera, alloy wheels, bluetooth, heated leathewr seats, cruise control, climate control, privacy glass and much more.